Tomorrow is the final Ypsilanti City Council meeting for 2017. On the agenda. The item I am most interested in is a report on the sidewalk gap along Washtenaw between Anna Dom Bakeries. This sidewalk gap is all that separates the Normal Park neighborhood from the delicious apple fritters at Dom's. The sidewalk gap memo (Council Packet, Page 180) concludes with "Staff’s current recommendation is to consider this project for specific inclusion in the Capital Improvements Plan during the upcoming annual revision." So maybe Normal Parkers will not have to choose between walking in the street or on someone's lawn for too much longer. There are other items of interest on tomorrow's agenda. There are two ordinance first readings with associated public hearings. The first, Ordinance 1299, amends Chapter 2 of the City Code. Specifically it specifies rules for procurement of goods and services. The second, Ordinance 1300, cleans up the the city code with regard to several tax exemptions that are for projects that never came to fruition or that are outdated. See page 109 of the council packet for more info. The Council will be voting on whether to enter an agreement with the Huron River Watershed Council for a study on removing the Peninsular Park Dam. There are more details on the proposal and the current state of the dam starting on page 151 of the council packet. One item that stands out is that it would take an estimated $659,000 to fix the dam. 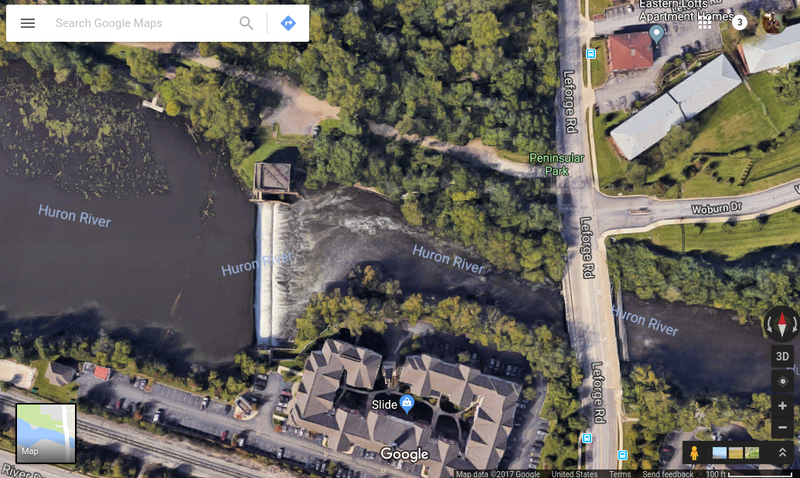 As an aside, if you're interested in the hydro power potential of the Peninsular Park Dam, the Ann Arbor Chronicle has a great article about the potential for hydro power at the Argo Dam you should check out. Finally there are a couple of interesting presentations at tomorrow's meeting. The first will be on the Ypsilanti Housing Commission from Executive Director Zachary Fosler. The second will be on the 2017-2018 snow removal plan. Check out the Ypsi Live Facebook group for a live stream. If you follow along make sure you tweet about the meeting using the #YpsiCouncil hashtag. Well, it would change the lakefront property to riverfront property. Also, by reducing the level of the lake, it could substantially increase the size of reiver front parcels depending on how the properties are defined.